Firstly, hello my often-forgotten-about blog. I was hoping to spend more time writing about various things, including my travels following the F1 circus, through 2018. Alas, it has been a super-busy year – but part of my New Year’s Resolution for 2019 is to write on here more. I’ve had a number of messages regarding a possible 2019 motorsport calendar spreadsheet following the popularity of my 2018 one. Something that started out as a simple way for me to keep track of what was going on when around the world in motorsport has been well-received! I put the finishing touches to the spreadsheet a couple of days ago, and it is now fully available and free to download. I’ve had a few questions asking if it is possible to put this into a Google Calendar or iCal format. For that, I’d point you in the direction of Pat Wotton’s excellent Too Much Racing blog, which has a number of series in those formats to add to your calendars. Finally, on a personal level, I would like to say thank you to everyone who has supported me, read my articles and followed my work throughout the 2018 season. 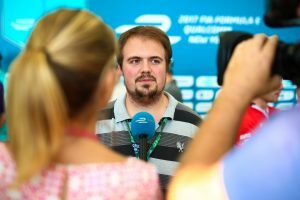 It has been a year where I fulfilled a lifelong dream, to be working as a journalist in the F1 paddock full-time, following the sport around the world. For that, I am eternally grateful. I wish you all a Merry Christmas, a Happy New Year, and a warm holiday period. Luke Smith is a Formula 1 and motorsport journalist based in London, UK. Luke is the F1 Editor for Crash.net, having previously headed up NBC Sports’ written F1 coverage between 2013 and 2017.